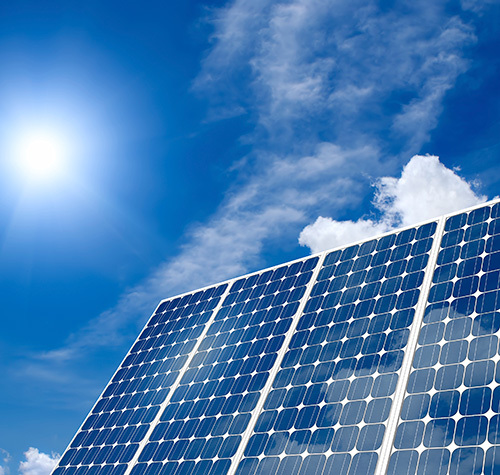 Small to moderate sized solar energy arrays must make use of efficient,safe energy storage systems. Applications with high current,low duty cycle demand can tax standard battery storage systems. Orchid Technologies was selected to perform the custom design of a high current, low duty cycle energy delivery and lithium ion battery management system. 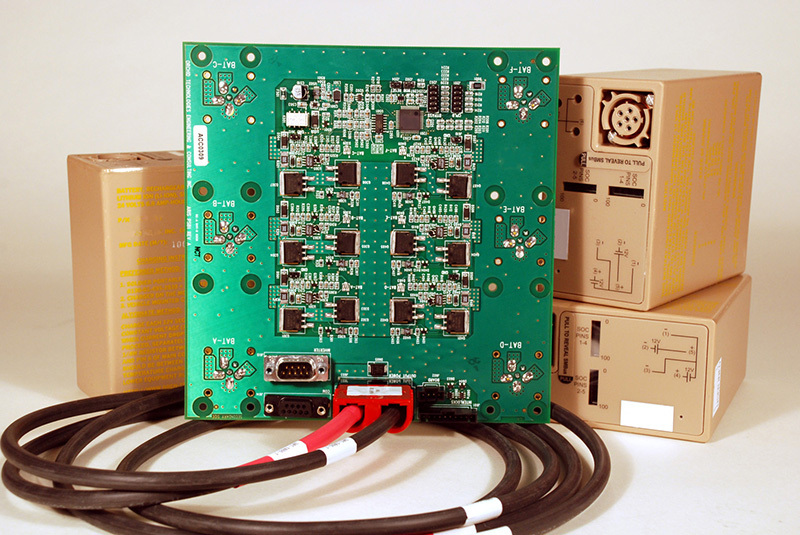 Our custom,scalable design provided battery management and power delivery in increments of 2000 Watts each. Multiple units can be combined to satisfy a variety of high peak load requirements. Each energy controller supports six high capacity lithium ion batteries. Each battery is capable of providing about 350 watt hours of energy. High current DC paths were fashioned using thick four-ounce copper circuit board lamination layers. Multiple energy managers may be combined to support a variety of peak load requirements. Programmable digital circuitry on each energy manager supports load balancing, error detection, and safety features. It’s a tough world for remote solar energy system managers. Arctic and desert environmental extremes are typical. Required operating temperatures range from minus 40 to plus 105 degrees Celsius. At low temperatures, materials are subject to cracking and degradation. At high temperatures, any additional heat produced by the circuitry itself causes trouble. Conservative component selection together with ruggedized circuit board assembly techniques allow our energy manager design to achieve high reliability without forced air heating or cooling. The development of custom electronic products for our OEM clients is Orchid’s entire business. The development of high energy storage managers with rapid design cycles, demanding technical requirements, and unforgiving schedules sets us apart. Call Orchid Technologies today! Remote solar power systems face demanding extremes of heat and cold. Our custom high capacity energy storage designs are proven safe and tough. "Manage a few thousand watts of DC energy storage, provide under voltage, over voltage, under current and over current lock outs – oh, and operate without the need for any cooling. And meet our cost targets too. Nicely done once again, that's why we know we can count on you!"